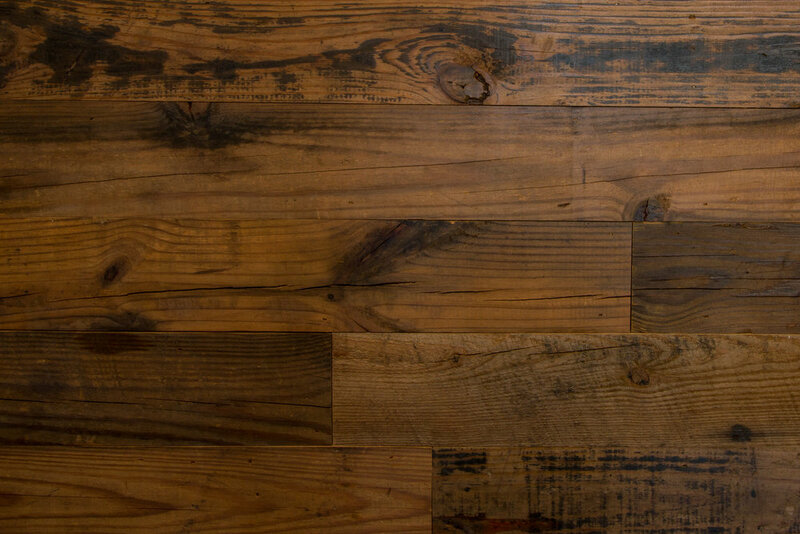 OUR INDUSTRIAL COLLECTION MERGES THE SUSTAINABILITY AND UNIQUENESS OF RECLAIMED WOOD WITH A MODERN AESTHETIC. OUR VINTAGE PINE TELLS A LABORIOUS STORY OF ITS DAYS IN THE TOBACCO WAREHOUSE. RANDOM BLACK TAR MARKINGS ARE A REMINDER OF THE HARD WORK THIS MATERIAL ONCE ENDURED. REVIVED AND REVITALIZED, VINTAGE PINE ADDS WARMTH AND CHARACTER TO EACH SPACE IT FILLS.